To connect to a different instance of SQL Server without having to close and restart SQLDataLayer, use the Menu option, file/connect to display Connect to SQL Server Dialog Box. 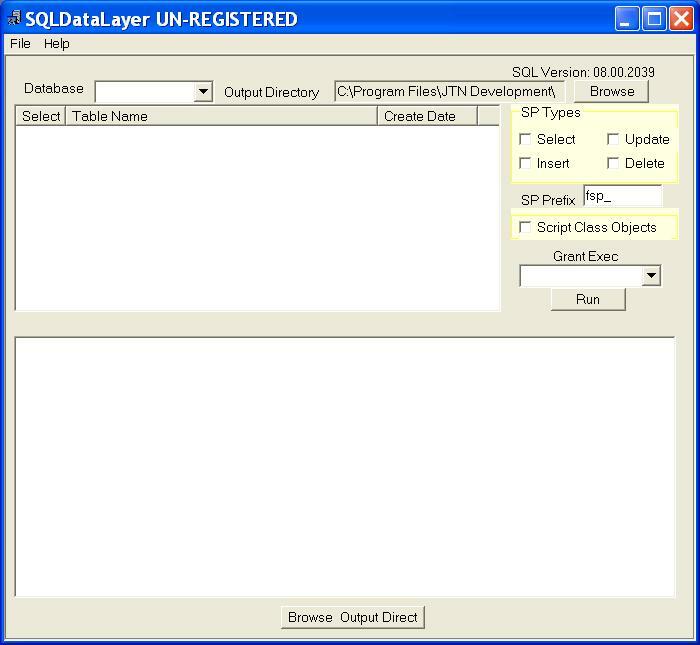 Selecting the Drop Down Arrow as shown above, will display the databases in your current SQL Connection, as established in the Connect to SQL Server Dialog Box. In order to script your desired Stored Procedures and or Class objects, select the desired DataBase, and the tables within the selected Database will be shown in the area just below the Data Base Drop Down, See Data Base Drop Down List for additional details.